At Belfast Telegraph Digital we strive to make our products the best that they can be, ensuring that we continue to lead the way for digital news content in Northern Ireland. In order to do this we want to hear from you! 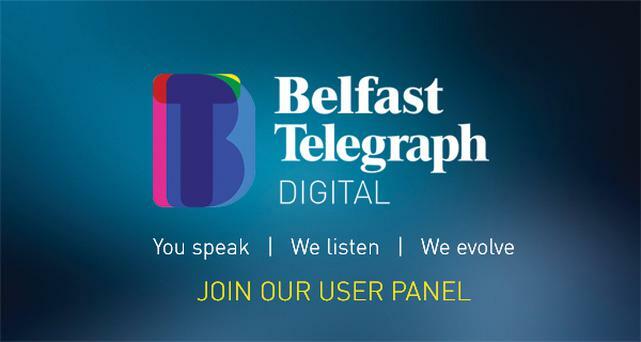 Our Belfast Telegraph Digital user panel has been set up to gather feedback from people just like you who are regular users of our website and app. Our panel will be asked to complete short online surveys giving us feedback on our products and our content, so that we can continue our evolution and bring our valued users along for the journey. Each month our panel participants will be entered in a prize draw for a £50 Amazon voucher. Joining our panel couldn’t be easier. Just click here and complete the form. Your data will only be used for the purposes outlined below and will not be shared with any third parties. You can expect to receive a survey by email no more than twice a month. You can choose whether or not you wish to respond and you are under no obligation to do so! We appreciate that you have taken time out of your day to help us with our research and, as a thank you for doing so, active panel members will be entered into a monthly prize draw for a £50 Amazon voucher. What kind of surveys will I be sent? User questionnaire – What do you think of our app or website and their functionality? What do you like? What do you dislike? Editorial questionnaire – How impressed are you with our coverage and how can we improve it? Advertising and marketing questionnaire – Have you noticed a particular ad or campaign on our site or app and how did you feel about it? Topical questionnaire – This would address a particular subject and your opinions on it, for example, parenting, house-hunting, banking, dining out, sports, concerts etc. How confidential are my responses? All responses will be anonymous. They are collated for analysis by our expert research partner, RAM UK & Ireland, and will not be attributable to individual respondents. You will receive no sales material as a result of joining the panel. How long do I need to be part of the panel? You can leave the panel at any time and you are under no obligation to complete any survey you are sent. Join our user panel now!